Tricia Yu, MA is former director (1974-2005) of Tai Chi Center in Madison, Wisconsin, one of the oldest and largest schools in the US, and is present owner of Tai Chi Health, providing instructor training and certification nationally. She has taught Tai Chi and qigong full-time since 1972 and is a pioneer in integrating Tai Chi into medical model exercise therapy. 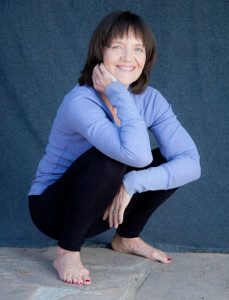 In 1981 she collaborated with an occupational therapist to create the ROM Dance® Program, a relaxation and pain management program integrating Tai Chi principles into medical model Range of Motion exercise. In 1996, she created the Tai Chi Fundamentals® Program, a prequel to traditional Tai Chi that can be integrated into medical model treatment. She has collaborated with health care practitioners in developing training materials, seminars and certification testing for both programs. Tai Chi Fundamentals®, ROM Dance®. Producer, director, music composer and performer, Tai Chi and warm up DVDs. Author, Tai Chi Mind and Body translated into twelve languages and features her Tai Chi Fundamentals® Program. Coauthor, Tai Chi Fundamentals® for Health Professionals and Instructors and ROM Dance® Range of Motion and Relaxation Program; Coauthor, articles for American College of Sports Medicine’s Health and Fitness Journal, Journal of Rehab Management, American Physical Therapy Association’s Gerinotes, and Massage and Bodywork. The ROM Dance Program book has been translated into Korean. Her programs have been featured on Medline Plus, Journal of the American Physical Therapy Association, Journal of the Occupational Therapy Association, Health, Prevention, and Fitness Magazines, Wall Street Journal, Weight Watchers Magazine, and Journal of Asian Martial Arts. Leaders in Tai Chi and health care recommend her Instructional DVDs, books and CDs. Reviewers in Booklist and Video Librarian give them highest ratings andthey are Harvard Women’s Health Watch’s recommended resources. She has lectured at the University of Wisconsin Medical School, conducted seminars for thousands of health care professionals and the public. National conference presentations include: American Physical Therapy Association’s Annual Meeting 2001, 2004 and 2005, American College of Sports Medicine’s Annual Summit Meeting 2001, Arthritis Foundation’s Annual Scientific Meeting 1981, National Wellness Conference Annual meeting 2002, International Tai Chi Research Symposium, 2009, 2014,US Army Force Health Protection Conference 2009, 2010, Armed Forces Public Health Conference 2011. Expert Panel Member for Intervention Protocol Development NIH NCCAM-funded pilot clinical trial investigating Tai Chi and Mind-body Breathing for Patients with COPD, Osher Research Center Harvard Medical School, 2011. Education: B.A. Behavioral Psychology, DePauw University; M.A. Education, Claremont Graduate University. Certified Yang Style Cheng Man Ch’ing Lineage instructor by two Grand Masters: Benjamin Pang Jeng Lo and William C.C. Chen.